Whenever I tell people from the yesteryear about what I do for a living, I normally have to repeat it a couple of times; to make them understand that the profession actually exists. This is immediately followed by a phrase I've not gotten used to - 'We didn't have this during our time'. The phrase brings me to the choice that we now have, when it comes to cars. 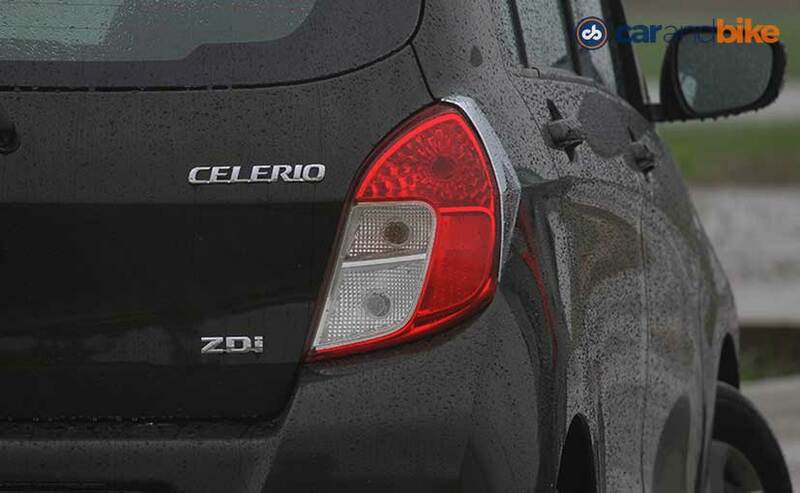 A diesel in the small hatch segment was unheard of, till Maruti Suzuki brought in the Celerio with a diesel power-plant. A small displacement diesel hatchback was now available for less than ₹ 5 lakh, but Tata Motors came into the picture, with what can only be described as a refreshing change in its portfolio, with the Tiago and pushed the price further down, to make one available for less than ₹ 4 lakh. 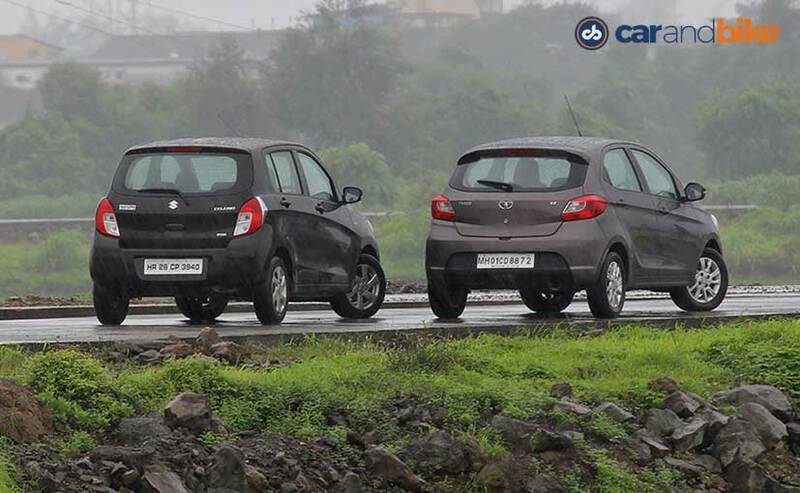 Essentially it was made to cater to a crowd, which prefers cars with low running costs; both the Celerio and Tiago fit the bill, which is why we brought them together, to find out which one of them is better, in terms of a complete package. Let's start with the design then. Make them stand side by side and of the two, you'll see how young the Tiago looks. The design of the Celerio is quite bland and neutral, with some lines on the sides, adding a bit of style; but the appeal remains with the Tiago, which additionally looks well-proportioned. With the Tiago, Tata has certainly taken things to a new level and we can say this because we encountered a few people, who asked about the car and were flummoxed to see a Tata badge on it. The sheer surprise was enough to tell us, what we wanted to know or already knew. The Tiago then is a clear standout, in this department, and it continues bomb-shelling people, with its cabin. The Tiago's cabin impresses with good use of materials and finish. 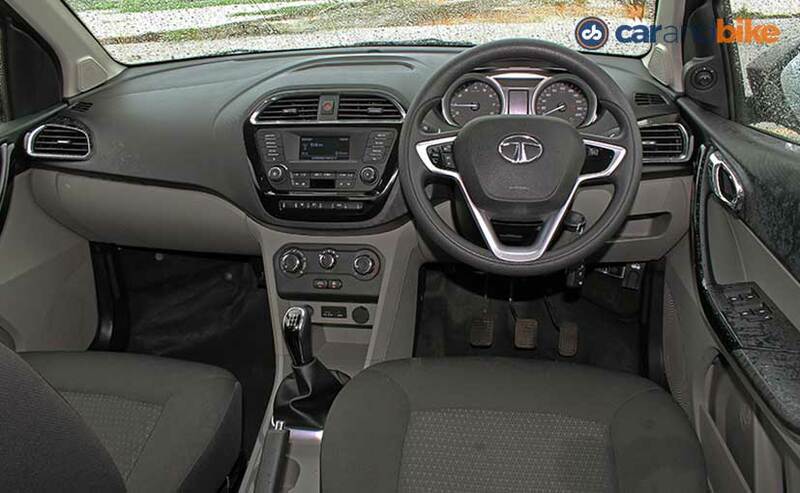 Tata has truly outdone itself, as the cabin on the Tiago is well laid out and though it's a bit less in terms of width, when compared to the Celerio, the car is quite spacious. The textured finish of the dash and even the seat fabrics makes it feel a bit more special and there's a lot of thought gone into making the cabin, which is why it's practical too. There are a good number of storage spaces, but this is an area where even the Celerio shines out. The Celerio closely matches the Tiago and the dual-tone theme of the cabin adds a bit of colour to the cabin, but when you compare the quality of the material used, the Tiago wins hands down. The front seats on the Celerio are comfortable and the legroom, at the rear, too impresses, with a good amount of headroom as well. 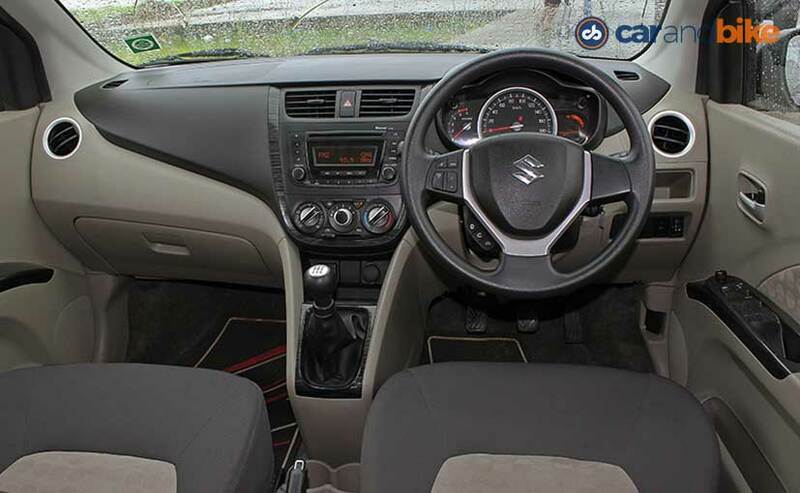 The larger windows make it look more spacious and airy and the designers at Maruti Suzuki have really put in a lot of efforts to make it that way. Now, this is an area, where the Tiago doesn't shine. The cabin is roomy - yes; but the lack of leg and head room at the rear is a bit of a bother. In fact, one feels that the lack of thigh support on all seats would make travelling long distances a little painful. The rear seats, I feel, are a bit reclined and that may be to create a decent space for passengers, at the rear; but it doesn't really help. What both cars get are tons of features and the list includes power windows, steering mounted audio controls, height-adjustable driver's seats, tilt-adjust for the steering wheel, audio system with USB, Bluetooth and Aux-In. Now, all these features are available on the top-end variant (XZ-Tiago, ZDi-Celerio); but the Tiago takes things further by adding rear parking sensors and a cooled glove box. The Tiago also gets a better sounding audio system, as it includes four speakers and four tweeters, which give you an all-round aural experience. 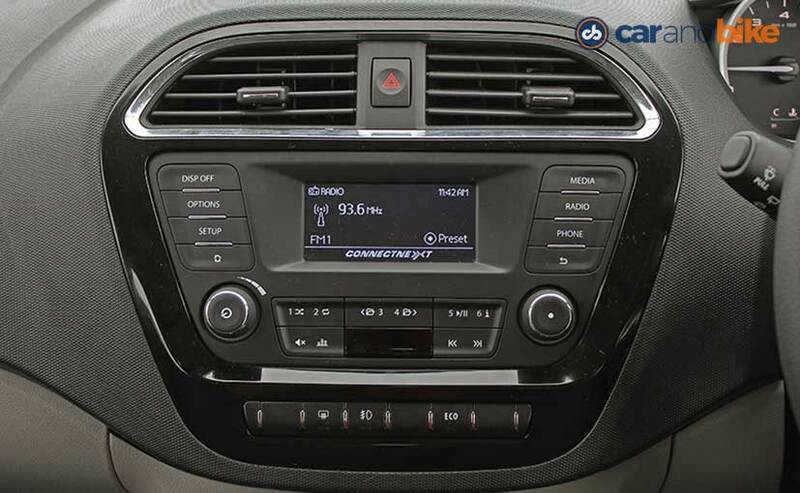 Hook up the infotainment to your smartphone and the Tiago's system will relay sat-nav instructions, which is quite a good and rare feature in this segment. On the safety front, the top-of-the-line variants of both cars offer dual airbags and ABS. Having gone through all of that, let's now talk about the small displacement diesel engines. One good thing about both these engines is that they're good on fuel economy; but this is where the Celerio lets you down. There's only 47bhp on offer, from the 793cc, 2 cylinder turbo-diesel engine; however, there is a respectable 125Nm of torque on offer, from as early as 2000rpm. The Tiago gets a bigger 1047cc, 3 cylinder engine, which is good enough for 70bhp and 140Nm of torque, so it has got the upper hand on both these fronts, over the Celerio. But, the Celerio has a card up its sleeve and that is it's lighter, than the Tiago, by nearly 180kg and this means it's a bit more agile and once as you get around to doing the math, to be in the right gear, as you push the throttle, you're sorted. But then, you have to deal with the vibrations at low rpms and the noise isn't well contained. Rev it above 3000rp and the sound becomes shrill, which is in no way soothing to the ears. 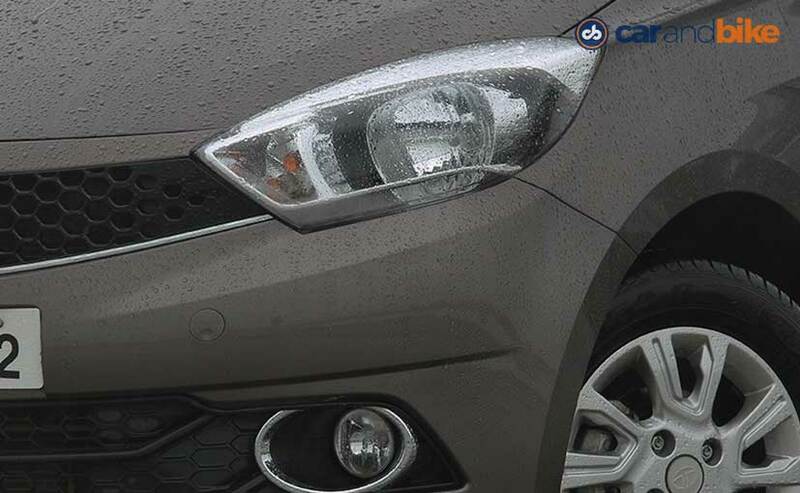 The 3 cylinder engine on the Tiago is much quieter, on the inside, and less noisy, when compared to the Celerio. The Tiago has more pulling power than the Celerio and it's available from 1500rpm, which helps it sprint, when tackling the arduous turns of a hill. But we wish, it had more of a mid-range, as you're left helpless, with no power coming to you, post 3000rpm. What we also noticed was the pedals (clutch, brake, accelerator) were a bit close to each other, than on the Celerio, which is why you have to be careful and get the footwork right. The rainy season is the ideal time to drive these cars, as potholes are the best way to check out how the suspension on these cars has been tuned. The ride on the Celerio is firmer and so there is a bit of kick-back, when you go through a pothole. The Tiago, however, takes it in its stride and makes for a good driving experience on the whole. 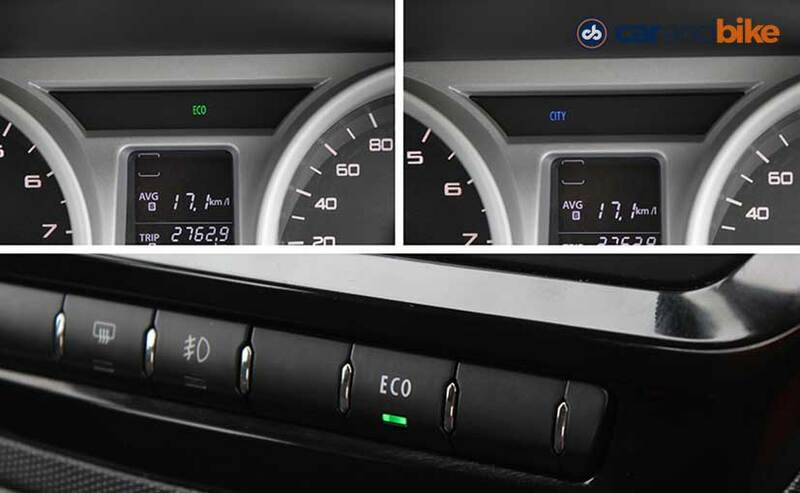 Now, we come to the part, where we disclose the fuel economy. 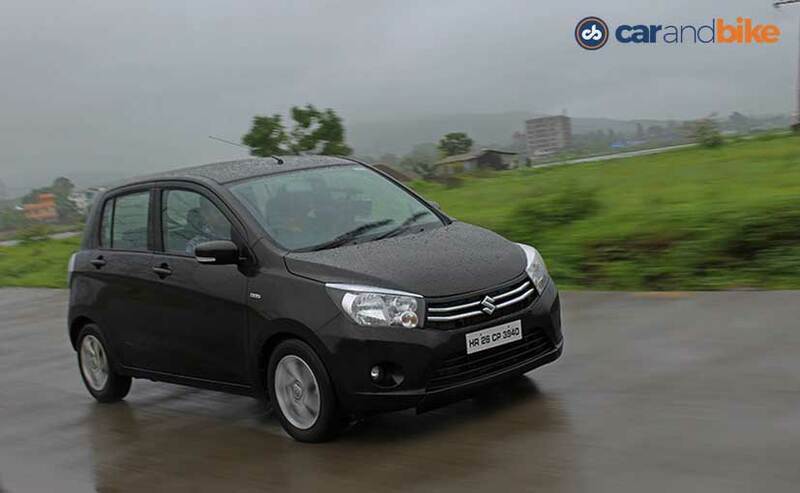 Well, the Celerio holds the record here, as it boasts of an ARAI-test economy figure of 27.62 km/l. The Tiago is a close second with 27.28km/l to its name; mind you there's more power and torque on offer, as we've said earlier. So then, how are they priced? Well, the Celerio diesel starts at ₹ 4.84 lakh and goes all the way up to 5.90 lakh. 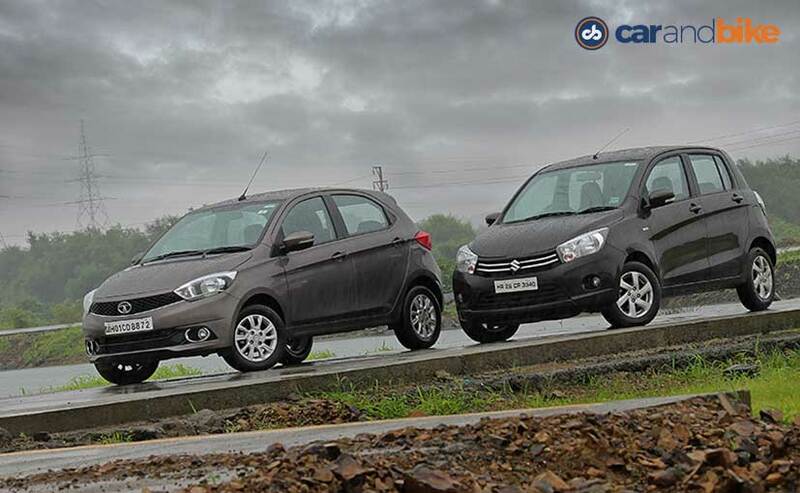 This is where Tata brings in 'more' to the table, as it undercuts the Celerio by a big margin. Prices for the Tiago diesel start at ₹ 3.84 lakh and go all the way up to ₹ 5.54 lakh (all prices ex-showroom Delhi), which makes it quite a good deal. 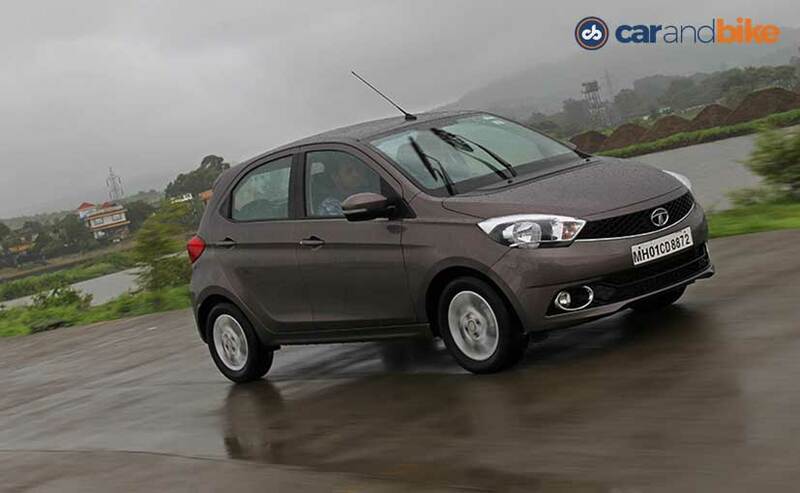 The Tiago then, brings in a refreshing change, not only to the Tata Motors' line-up, but also to the segment. There's a bit of desirability in the Tiago and it comes loaded with features and even though there's no feel to the steering wheel or lack of enthusiasm from the engine, take into account the overall package and you'll see what a good deal the Tiago is. Tata has certainly managed to set a benchmark in this segment with the Tiago and it's the more sensible choice of the two.